Your most anticipated features are finally here! After a very busy couple of weeks, we are releasing our biggest CarLock app update since version 2.0. The new CarLock app release brings you the crash detection, SmartLock (beta), improved log panel and the most requested multi-vehicle support. The new app release is available right now for both Android and iOS smartphones. With multi-vehicle monitoring, you can easily monitor and manage all of your cars with one CarLock account. Add multiple cars to your CarLock account. Easily switch between cars within the app. Get notifications for all of your cars. 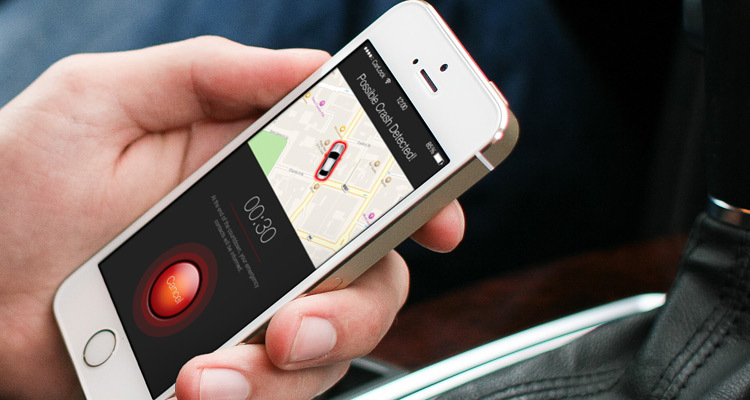 Crash detection enables CarLock to inform your emergency contacts via SMS message about the possible crash. If the CarLock device detects a possible car crash, you will be informed with a loud notification and a countdown timer, giving you 30 seconds to cancel the sending of SMS message. The SMS message will notify your emergency contacts with the exact location of the event so they can check if everything is OK.
Also, you will get a loud notification if CarLock device detects potential car crash while somebody else is using your car. The CarLock system will automatically enable monitoring after the engine is turned off and you leave your car. SmartLock is the new CarLock functionality that we will continue to improve so any feedback from your experience using SmartLock is very appreciated. The improved log panel now offers an exact location of every event in the log. All you need to do is tap on the event and a map with the exact location of the event will appear. Thank you for all of your great support. We can’t wait to hear from you about all of this great new features. Also, let us know if there is something you would like to see in the next CarLock release.